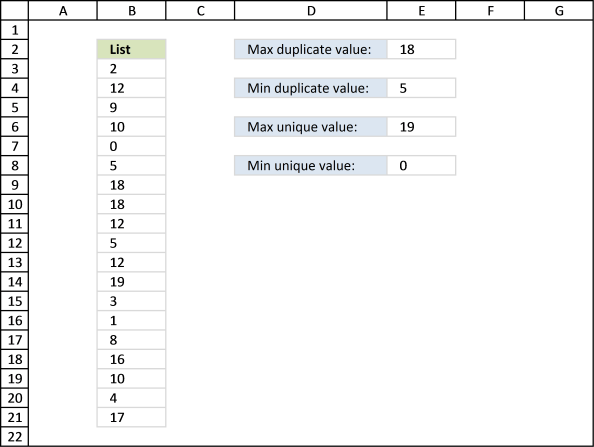 The array formula in cell C2 extracts duplicate values from column A. 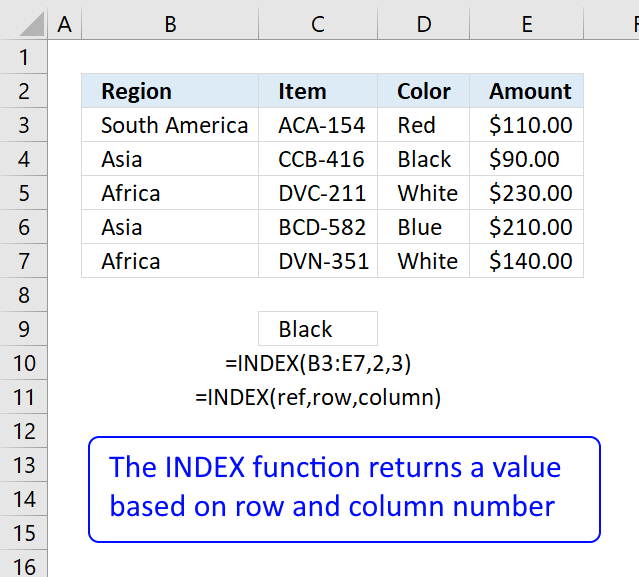 Only one duplicate of each value is displayed in column C.
The following formula is an outdated formula, the above formula is smaller and better. Don't enter the curly brackets, they appear automatically. Copy cell C2 and paste it to cells below as far as needed. Copy cell C2 and paste it down to D20. 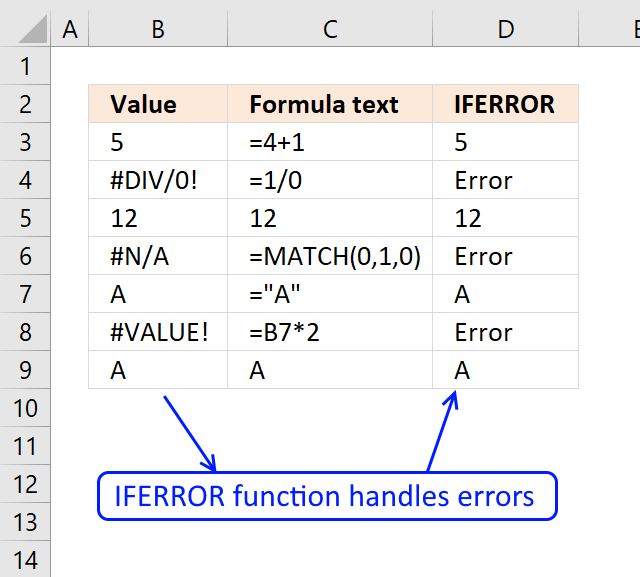 The IFERROR function was introduced in Excel 2007, if you have an earlier version then use the formula above. COUNTIF(D2:$D$2, $B$3:$B$21) contains both a relative and absolute reference (D2:$D$2) to a range. When you copy a cell reference like this the cell reference expands. 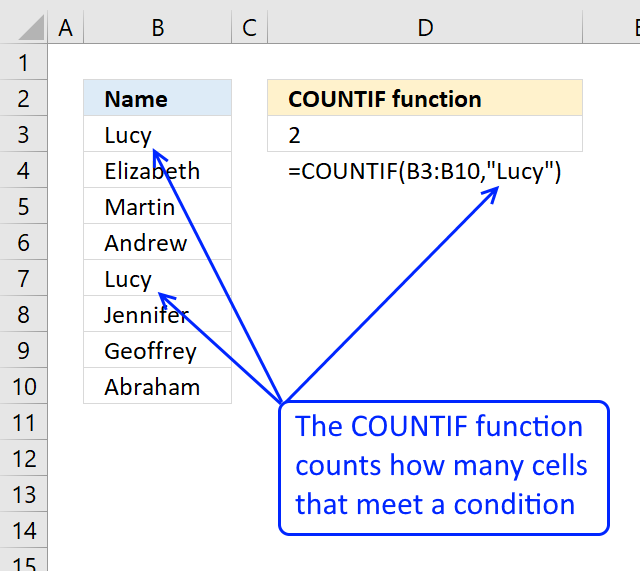 COUNTIF($B$3:$B$21, $B$3:$B$21) counts the number of cells within a range that meet the given condition. The returning array is (2, 1, 1, 2, 1, 1, 2, 2, 1, 2, 2, 1, 2, 1, 1, 2, 1, 1, 1, 1). COUNTIF($B$3:$B$21, $B$3:$B$21)>1 returns this array: (TRUE, FALSE, FALSE, TRUE, FALSE, FALSE, TRUE, TRUE, FALSE, TRUE, TRUE, FALSE, TRUE, FALSE, FALSE, TRUE, FALSE, FALSE, FALSE, FALSE). IF(COUNTIF($B$3:$B$21, $B$3:$B$21)>1, 0, 1) returns (1, 0, 0, 1, 0, 0, 1, 1, 0, 1, 1, 0, 1, 0, 0, 1, 0, 0, 0, 0). MATCH(0, (1, 0, 0, 1, 0, 0, 1, 1, 0, 1, 1, 0, 1, 0, 0, 1, 0, 0, 0, 0), 0) is 2. 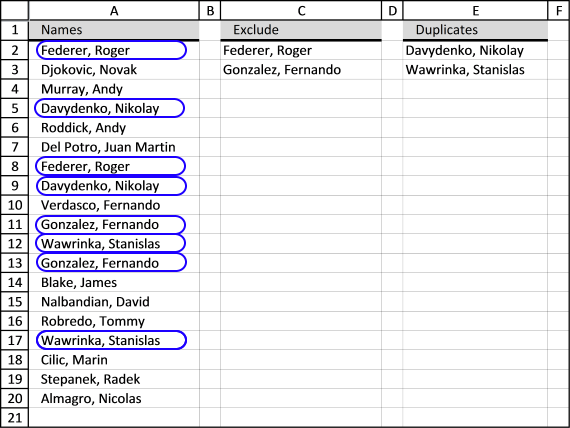 =INDEX($B$3:$B$21, 2) is Federer, Roger. When formula in c2 is copied to c3 the reference changes. Then copy the formula to C3. Read more about absolute and relative cell references. This makes it possible to avoid previous cell values (C2) and only calculate the remaining values. I tried this formula, it does not work for me - any way to figure out what I am doing wrong?? 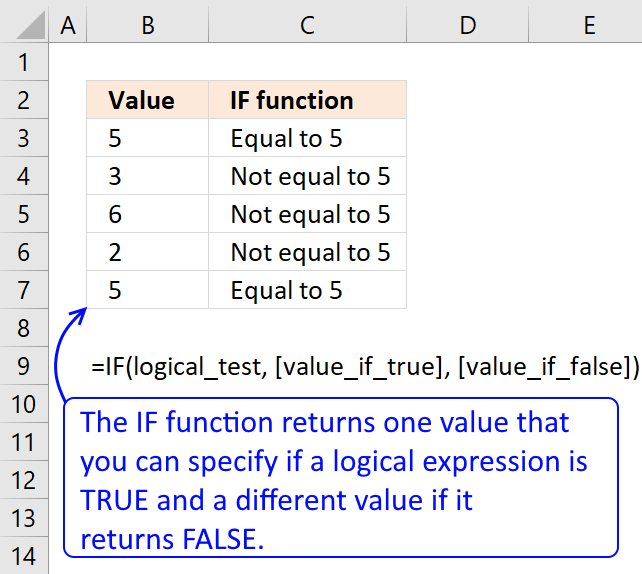 how to extract the unique distinct column from one sheet to another sheet in the same work book using formula. i changed the cell reference but the value is showing as " 0". sheet 1 - column A has 123412323422 values (Having blank cells). i want this unique distinct values to sheet2 column A..
please provide the formula to get the values into sheet 2 from sheet 1. I used this example workbook in my own application and it works great. I'm wondering if there is a way to filter the results and/or criteria. 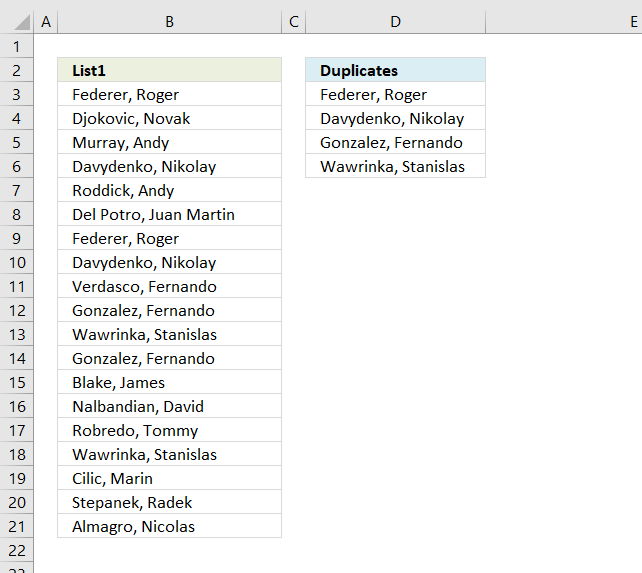 In the duplicates column I have a wide range of text-filled cells, which duplicate quite frequently. 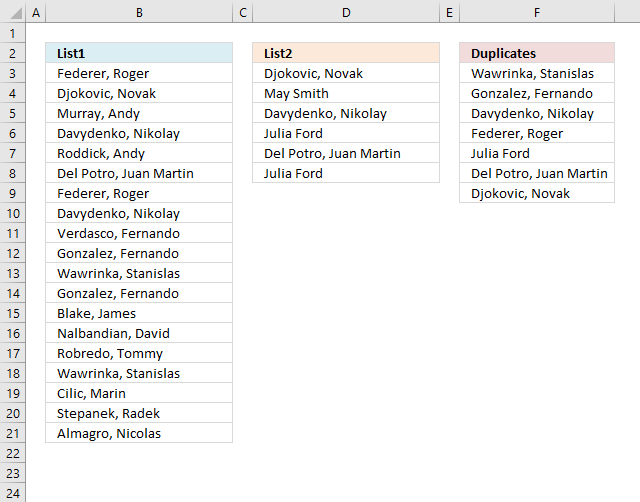 I would like to have this formula return only cells that begin with the letter "L", and also eliminate all duplicates. Is this possible? this colB of sheet 2 extracts the data from colB of sheet 1 if sheet2!ColA=Sheet1!ColA. It works for me.. Thanks men..
Will it really takes time to if the data is Big? If you have a large data set it will take time. It all depends on your computer hardware. Huge thank you for your fast response however this is truly outside my league :D (our office excel guru's league too as it seems)... 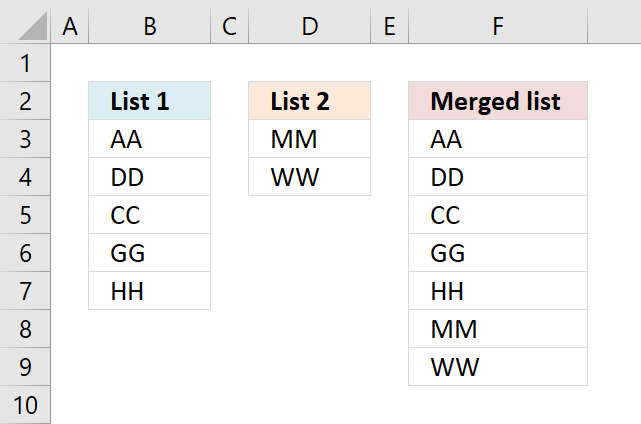 I am trying to pull the "Unique" names rather than duplicates and I don't understand your formula in order to reverse it. Any help on the subject will be highly appreciated! 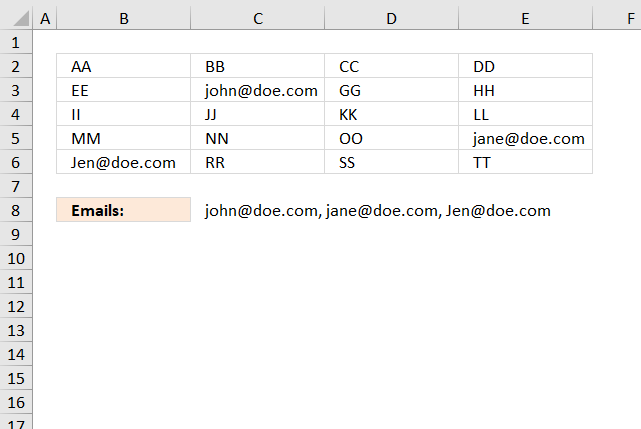 The formulas can be smaller if you have space for a "helper column" in your sheet. The dates make the formulas complicated. 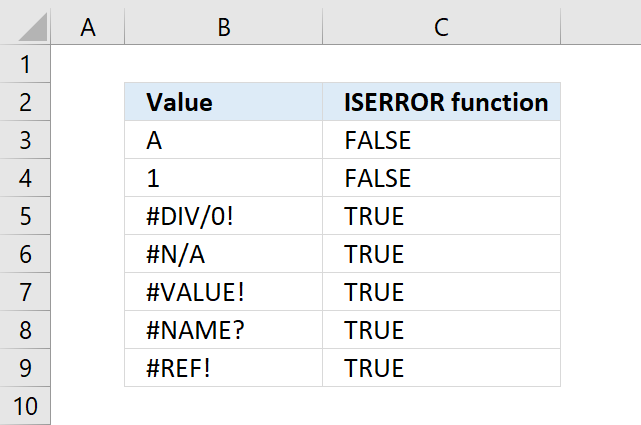 did you create an array formula? Hi, very useful info here.. 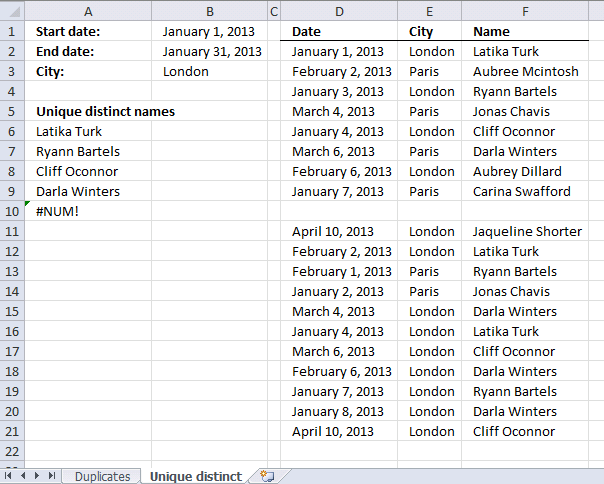 I can't seem to leave a comment on previous post "How to extract a unique distinct list from a column in excel" so i posted a reply to this thread instead. 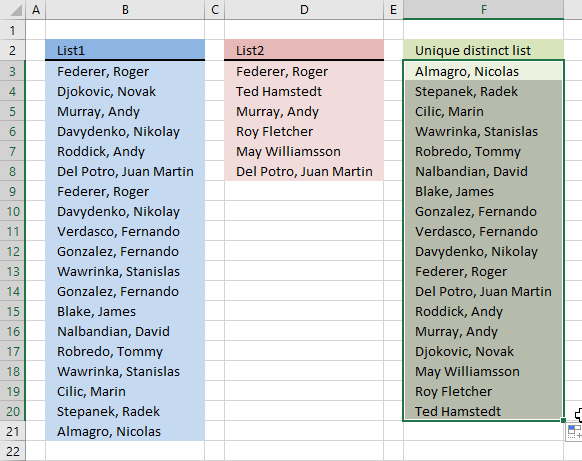 Sorry..
Anyways, my problem is I wanted to get the unique list only if one condition in one cell is True (Column B). I tried using if() statement but i guess there's something wrong. I know it's very easy for you.. Tnx a lot for your help. Read this, I think it is what you are looking for. I am using the unique formula you created in response to Neophyte in the comment above. However, I would like to copy the formula across instead of down. How would I modify the formula to accomplish this? Disregard my last question. I figured it out. I just changed the last row formula to column and it worked. How to convert(transpose) sing column to row. How to convert(transpose) single column to row. Got it, not to worry. This function seems to ignore any entry in List1 that has only one entry... Is that correct? Tried this function using a list from a different sheet in by workbook, for some reason it is listing the results in doubles. Any reason for this? 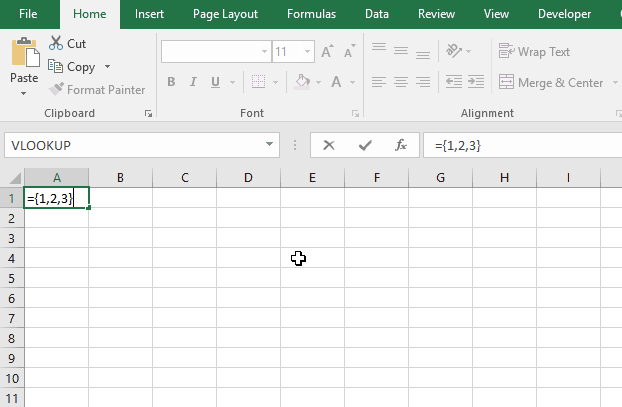 Using Excel 2013. 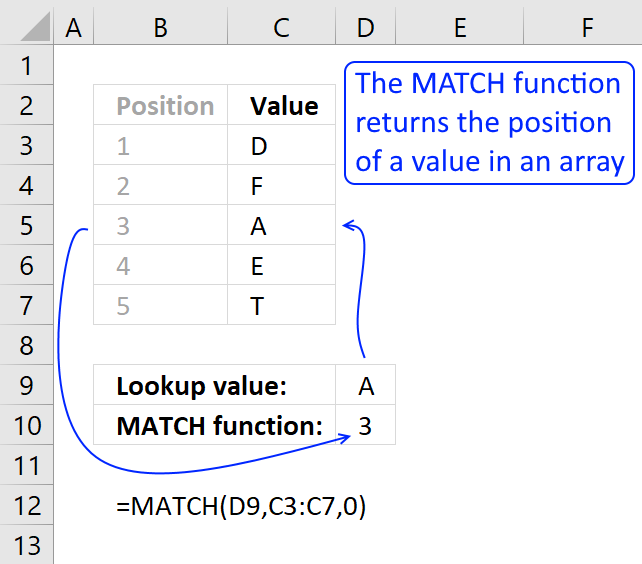 Hard to say without seeing your workbook, you entered it as an array formula? Thanks for your formula, I would like to know how can the duplicate be shown in row and expand to the right? Please help! =INDEX(List1, MATCH(0, COUNTIF(C1:$C$1, List1)+IF(COUNTIF(List1, List1)>1, 0, 1), 0)) + CTRL + SHIFT + ENTER. Make sure the cell ref (bolded) is pointing to the next cell to the left, however this means you can't enter the formula in the first column. I was able to adjust this to my project, but man does it take a long time to calculate. 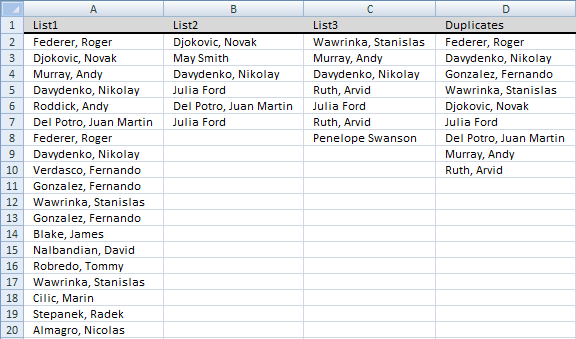 I have a spread sheet with about 4000 rows and it can take hours to calculate. Is there a faster way of doing this? I have added your question to this post. Now you can see the data-fields listed on the left side with cardinality against each one of them. No complex formulas are needed to find repeating values. I am trying to provide all possible techniques, some people want a formula.